"The Emerging Sensitive is an essential resource in supporting highly sensitive people in showing up in relevant ways, and not at a cost to them. The culture we live in has created many challenges to sensitivity and those who are more highly sensitive. Connection has created pain and therefore avoidance for many highly sensitive people. The cost to being present has been the sensitive self. But, it is changing. It needs to change further. I believe our culture will change the more highly sensitive people can join in and offer themselves genuinely, without compromise. I believe strongly in changing the way we all use sensitivity, and this book is a solid contribution to that effort. It is full of great resources to help a spectrum of highly sensitive people in finding their place and bring their gifts to light." Ane Axford is a Licensed Marriage and Family Therapist, Clinical Hypnotherapist, and highly sensitive person who specializes in working with sensitivity directly. She offers a holistic practice on sensations and how to respond to them. She has been working in the very uncharted field of sensitivity for over 10 years with clients, developing the Sensitive Leadership system, practices, retreats, writing, online community, live show, in-person community, local community, resources, and other services to serve all in leading with sensitivity and therefore changing the way we use sensitivity. "It was through Maria Hill's website www.sensitiveevolution.com that I first discovered the concept of the HSP (Highly Sensitive Person) trait a couple of years ago. It has been an absolute game-changer for me, and felt like the missing piece of the puzzle I needed to understand myself. As a (slight) extravert, I had never understood why I also had so many classic 'introvert' traits, like getting overwhelmed by noise/light and other sensory input, and why although I liked people, I found aimless socialising draining. It also helped to validate what others have often remarked on - my unusual way of looking at the world which seems to be both 'big picture' AND 'small detail'! Whilst I've read Elaine Aron's classic book (and found it very useful as a primer), 'The Emerging Sensitive' builds on (and references) Aron's work and takes it to the next level by looking at the HSP's place in the modern world, and introduces concepts from systems theory to help create ways of processing ideas about culture and community that rang very true to me. Like many HSPs I am involved in doing my part to make the world a kinder place, and found the section on the Commons Movement really inspiring. And finally, I particularly valued the truly extensive resources that Maria has shared including websites, books, coaches, therapists, organisations and courses. Elegantly written and without polemic, this is an important addition to the growing body of literature for HSPs. Thank you Maria!" 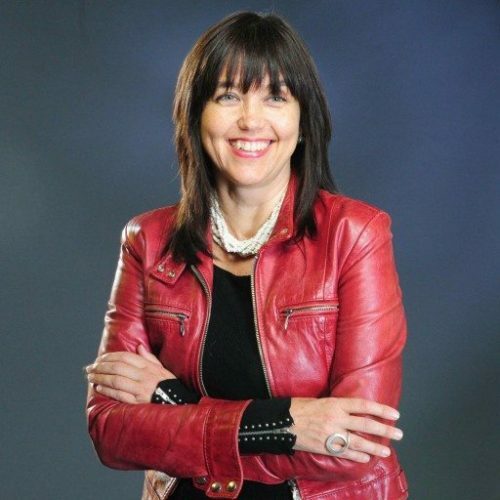 Jody Day(1964) is a British author, social entrepreneur, trainee integrative psychotherapist and the founder of Gateway Women, the global friendship and support network for childless women. She is the author of the bestseller, Living The Life Unexpected and can be found on her website, Gateway Women. The Emerging Sensitive: A Guide for Finding Your Place in the World is a self-help book written by Maria Hill. Hill discusses a subset of the population who she and others have defined as being highly sensitive people based on Dr. Elaine Aron's DOES model. She then offers readers who feel they fit within the spectrum a number of ways to understand and function in the non-sensitive culture they find themselves in through the use of frameworks. Many Highly Sensitive persons may find difficulty fitting into the competitive world of business; however, Hill shows how our culture is slowly evolving into one in which the skills and enhanced perception of the Highly Sensitive person will be more in demand. She also discusses ways for such people to develop and apply their unique skills in today's culture. The author provides a wealth of links, books, and other resources in her appendix. Maria Hill's non-fiction self-help book, The Emerging Sensitive: A Guide for Finding Your Place in the World, is a fascinating and well-researched work that will help Highly Sensitive people understand who and what they are, and how their abilities can make a difference in their lives and the lives of others. I recognized in myself some of the traits Hill discusses, and found I was finally able to understand why I seemed slow to process new information or make decisions compared to others, while being a relatively intelligent person. Hill's work sometimes seems like a sociological or an anthropological treatise, but, at all times, her message is clearly and effectively communicated to the reader. I loved reading her analysis of the history of human culture and was heartened by the optimistic predictions she offers. Her appendix is outstanding and chock-full of resources and support. The Emerging Sensitive: A Guide for Finding Your Place in the World is most highly recommended. Maria Hill's book will be immensely useful and enlightening for anyone who knows or who suspects they may be HSP. 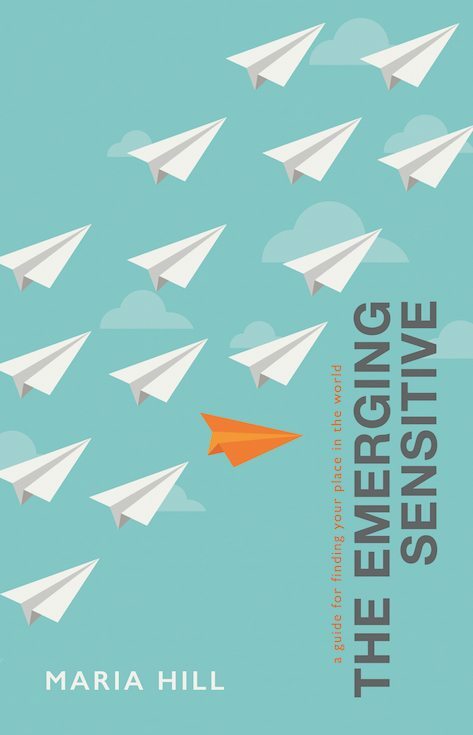 The Emerging Sensitive draws on a wealth of well-researched information and it is written in a positive and empathetic style, with terms and theories explained. This will enable readers to begin to understand their innate traits, heal their past hurts, and learn how to function alongside others in a way that is authentic and true to themselves. I was fascinated by the author's explanations of the way in which humans and the way our societies have been made up has evolved and changed and is changing still - and that movements away from materialistic and cultural systems to more egalitarian and inclusive societies will favor the contributions and abilities of HSPs. The sections on advice on self-care, developing self-assertion and turning sensitivities into assets are sensible, inspiring and doable, and should help HSPs begin to deal with the learned negative self-image, shame and lack of belief they may have spent their lives struggling with. 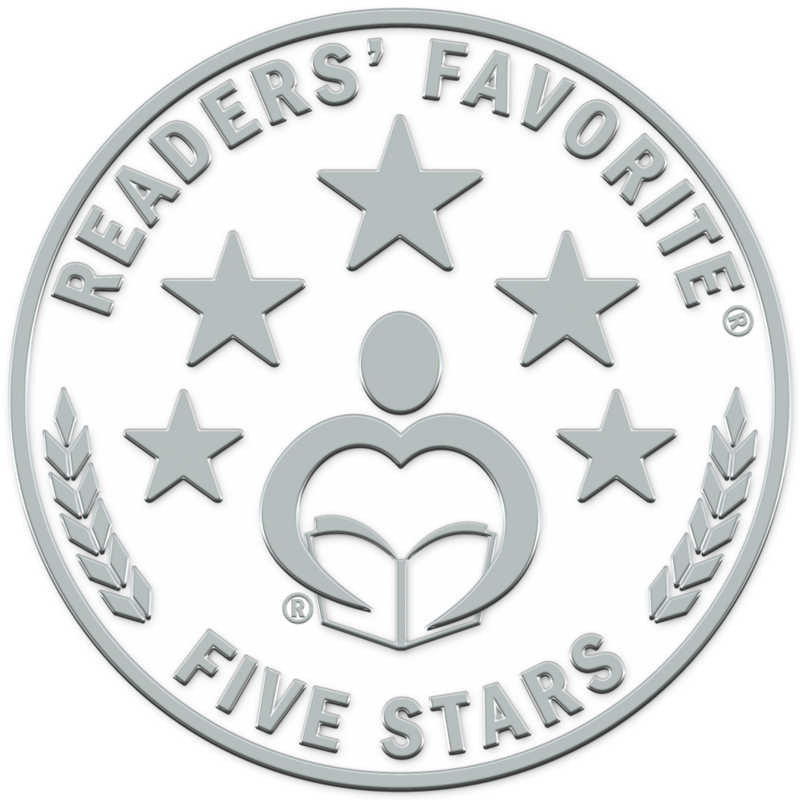 Maria Hill understands the Highly Sensitive Person and the challenges they have always faced - and her hopeful book offers a way to heal emotionally and begin to become "who you were meant to be". Recommended. The book, The Emerging Sensitive: A Guide To Finding Your Place In The World, is designed to help sensitive people understand themselves better by offering different insights into why they have struggled. It traces the roots of HSPs back to the earliest civilizations using the evolutional framework of Spiral Dynamics as laid out by Don Beck and Chris Cowan and discusses the shifting roles of highly sensitive people in societies throughout the ages. It explores what the future holds as culture shifts to a more HSP-friendly stage and offers ideas for moving out into the world in a safe way. The book is meant to provide some important mental supports through frameworks that HSPs need in order to navigate the world more easily.It has 4 parts and a large resources section. The biological difference of highly sensitive people and the implications of that difference: physically, emotionally and experientially. The 'DOES' Model Of Highly Sensitive People created by Dr. Elaine Aron which defines the key ways highly sensitive biology results in different ways of thinking and processing information for highly sensitive people. What frameworks are, why they are important and how they help us make sense of the world better. The evolution framework, Spiral Dynamics, based on the research of Dr. Clare Graves, the insights it offers highly sensitive people, and how it can be used to make processing information easier. The structural reasons HSPs feel out of sync with the world and find it hard to thrive. How the world is changing and why it provides fresh opportunities for highly sensitive people that will make life more fulfilling. New fields and opportunities for highly sensitive people to do work that suits their natures. What is “agency” and why is it hard to claim agency as a highly sensitive person. How to make changes and put the information to work. Finally the book has a resources section covering the HSP trait, frameworks, trends and opportunities, self help tools including health and stress relief to turn new opportunities into reality. It has been a pleasure for me to share with other sensitive people some of what I have learned about being sensitive and making a great life for oneself. This book is the culmination of my research and trial and error. I hope it helps you find a positive way forward in a challenging world.